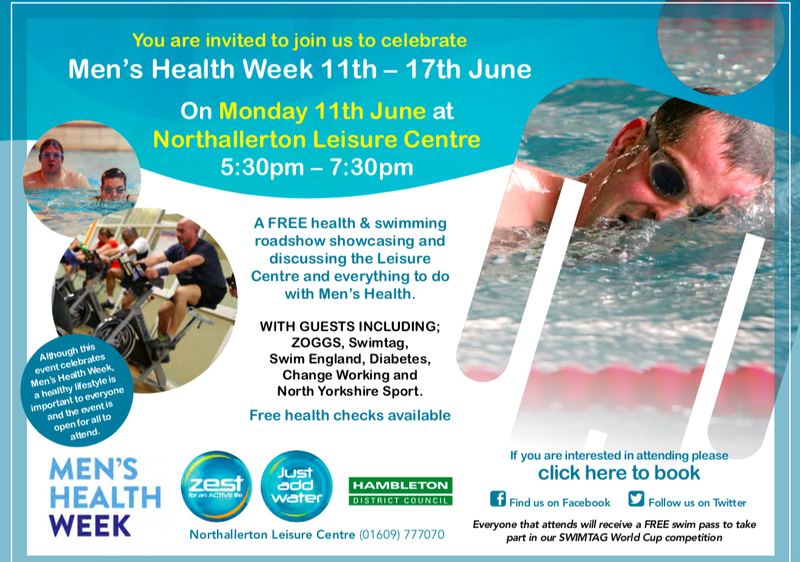 Hambleton District Council are inviting you all along to a special event to support #MensHealthWeek in June. All the details you need are below and a link to accept your invitation. This is a FREE event, and will be discussing everything that impacts on Men’s and Public Health. ZOGGS, Swimtag, Swim England, North Yorkshire MIND, Change Working and North Yorkshire Sport. Should be a great event, please support if you can. Add your details to the Eventbrite link here.